The Appalachian Center for Natural Health offers three certificate programs of instruction: Family Herbalist Program, Community Herbalist Program and the Herbal Practitioner Program. Together all three form the Practitioner Program at ACNH. The Family Herbalist Program is a nine month program based on an organ or body system approach. Eight body systems are covered in detail, one each weekend along with the herbs that impact the system. The program is designed to provide a strong herbal background, based on body systems, and a knowledge of anatomy and physiology, for those interested in helping family and friends as well as a strong foundation for those wishing to pursue advanced herbal studies. The emphasis is on Traditional Western Herbalism using either western or local herbs. The Community Herbalist Program is a nine month program with an emphasis on the endocrine system and its influence on the primary body systems as well as metabolism. Each gland in the endocrine system is covered in detail, one each weekend, along with herbal and nutritional protocols which support the healthy functioning of these systems. 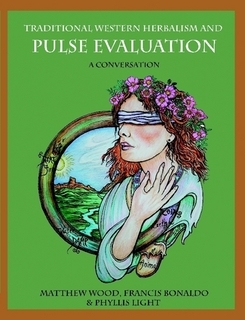 In addition, weâ€™ll also take a more in-depth approach to Southern and Appalachian Folk Medicine and study various assessment techniques including tongue, pulse, nail and face. This program is designed as the second in the series for those wishing to pursue advanced herbal studies or to become a resource for their communities. The Herbal Practitioner Program is the final program in the series with an emphasis on clinical skills, intake, and assessment skills. This program consolidates information learned in the first two programs in an integrative, holistic fashion. Understanding health within a holistic framework, physical, mental, emotional and spiritual, creates a mind/body/spirit understanding of how the body works and what natural approaches can help bring the body back to balance. This knowledge enable the practitioner to design targeted herbal, nutritional and natural health protocols which support a return to health. Outside assignments will be given and must be completed to receive a certificate of completion. The Herbal Practitioner Program can also be followed by a year of mentoring for those interested in becoming practicing herbalists.